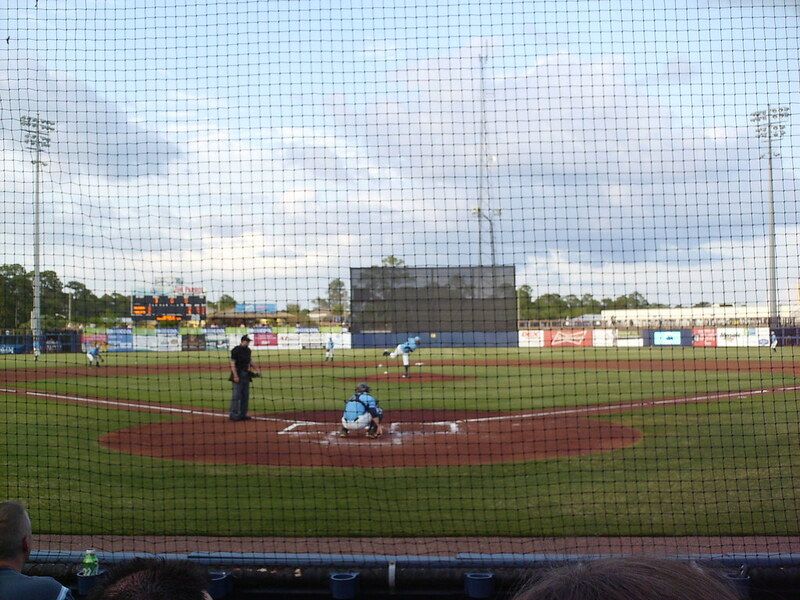 The view from behind home plate at Charlotte Sports Park. 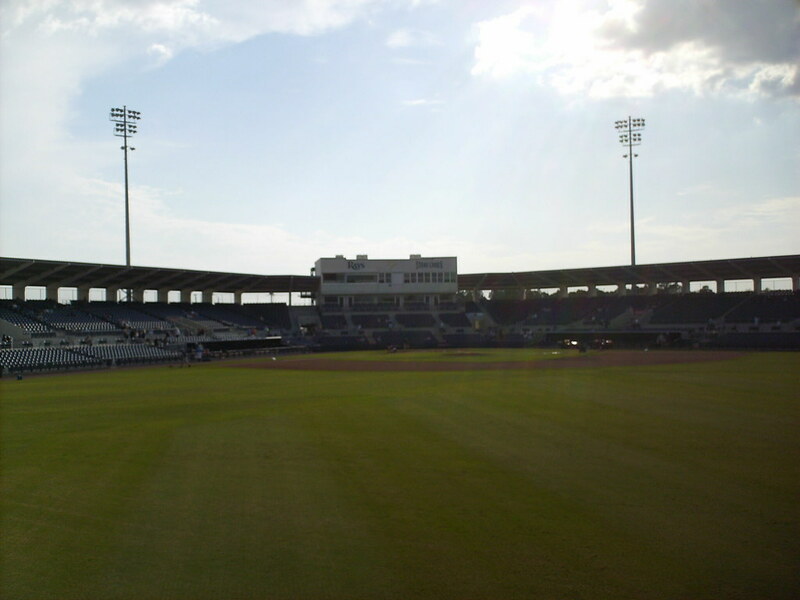 The grandstand at Charlotte Sports Park, as seen from the center field boardwalk. 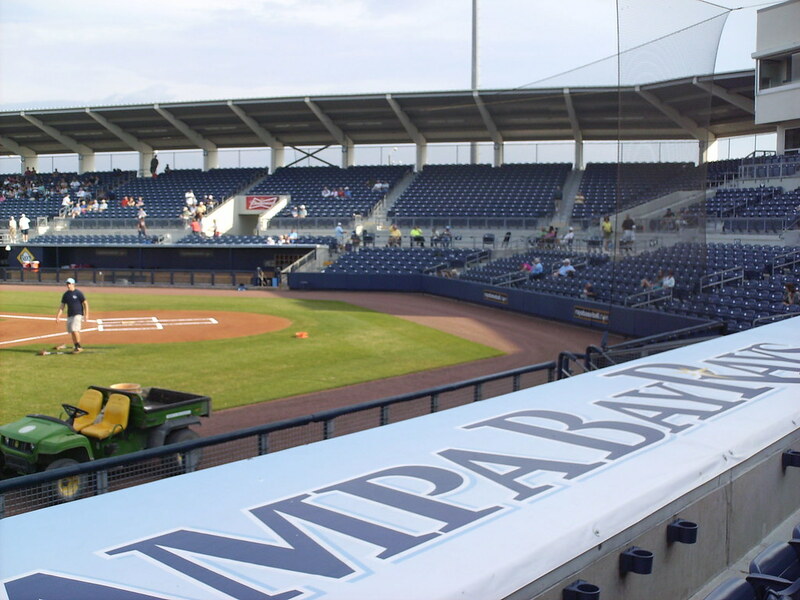 The pressbox, stacked on top of the luxury suites in the structure behind home plate. 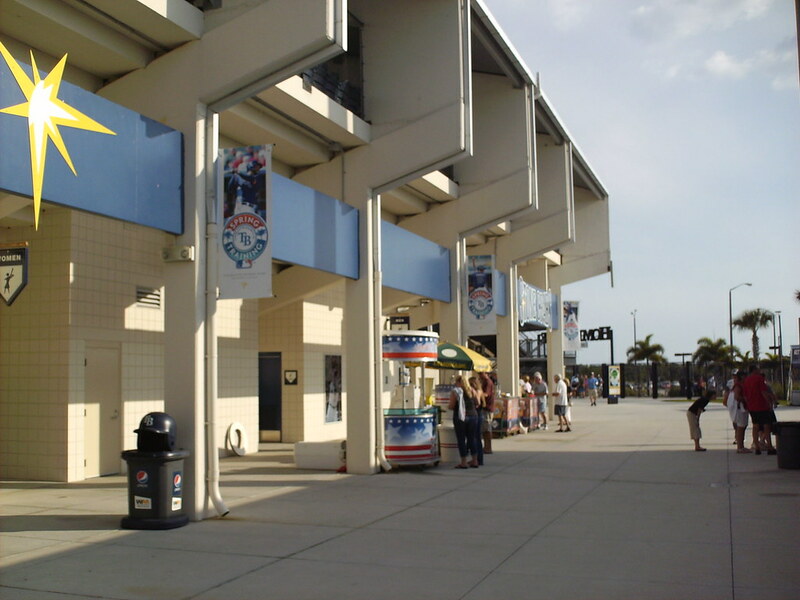 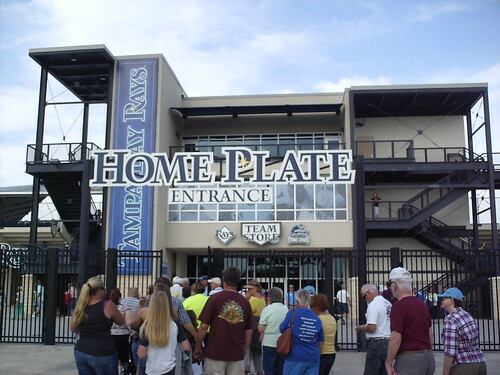 A large cantilevered roof extends along the seating bowl on either side of the pressbox, providing shade from the Florida sun. 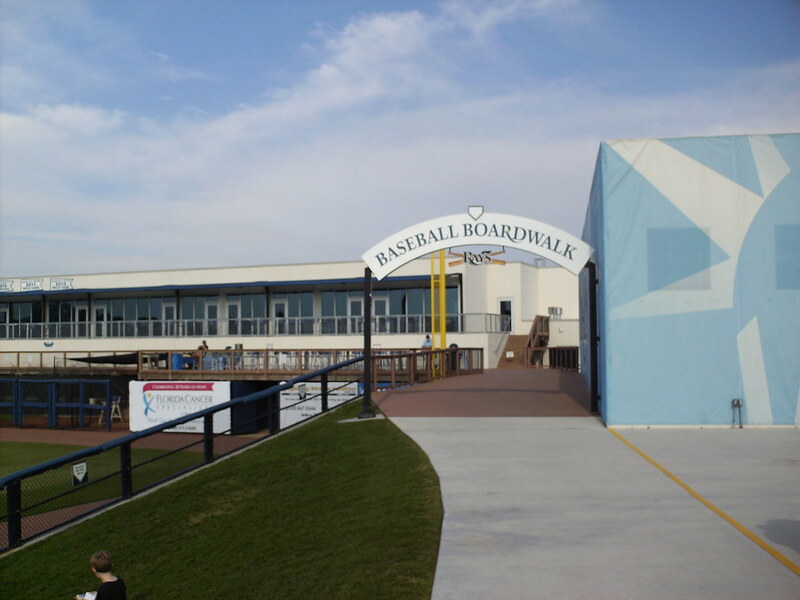 A boardwalk concourse wraps around the outfield, and banners on the Rays clubhouse celebrate Tampa Bay's division and league championships. 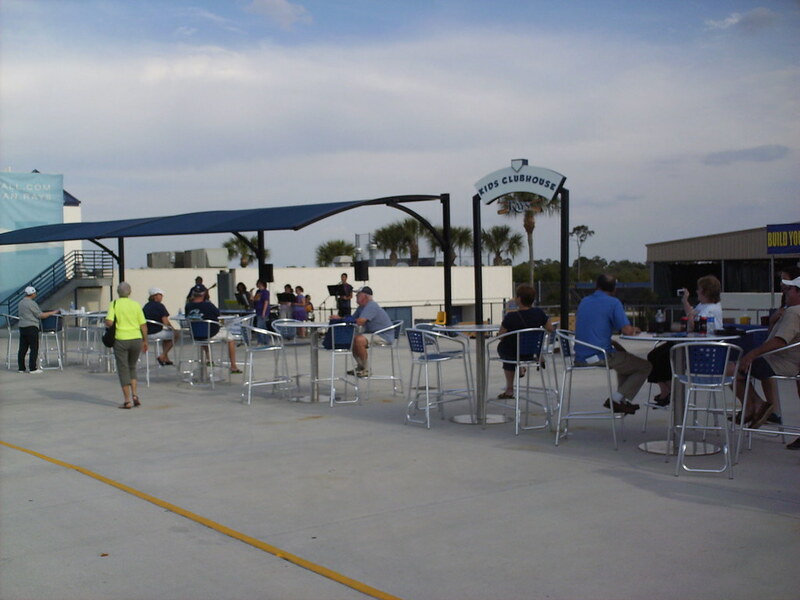 An open area in the right field corner of the concourse houses picnic tables and stairs lead down to the batting cages and kids play area. 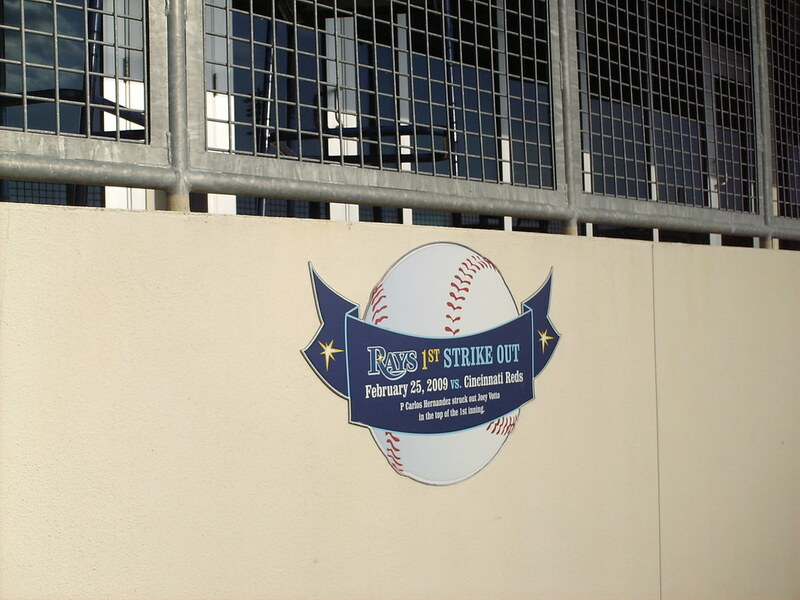 Plaques along the outfield boardwalk celebrate milestones in the Rays time at Charlotte Sports Park. 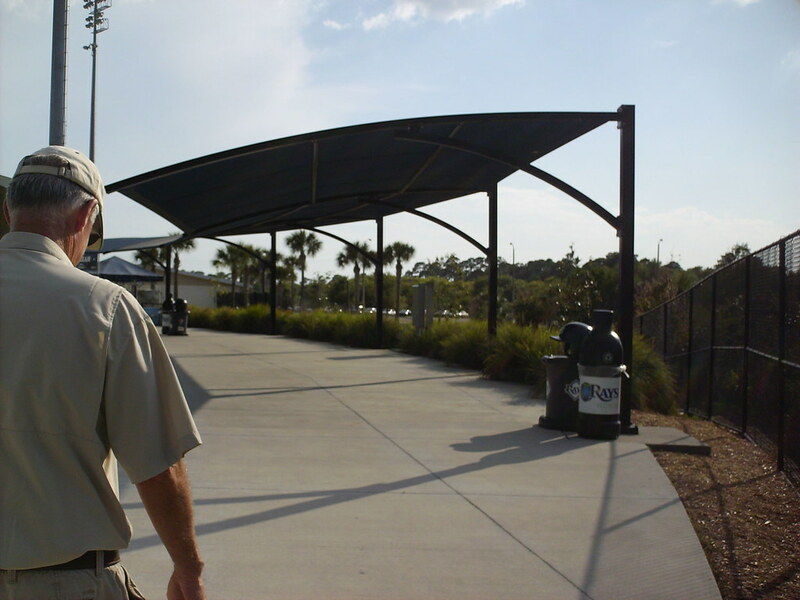 A series of sun shades on the concourse provide shade for those fans not in the main seating bowl. 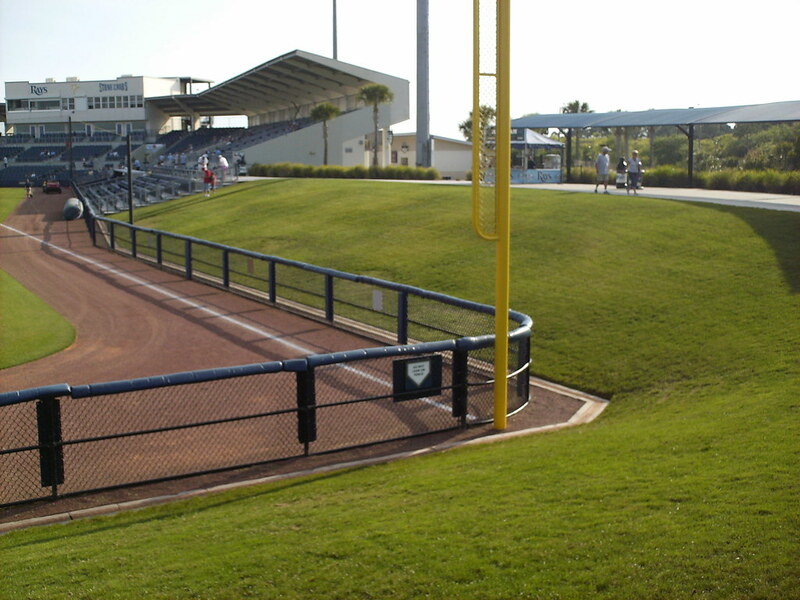 Berm seating wraps around the left field foul pole. 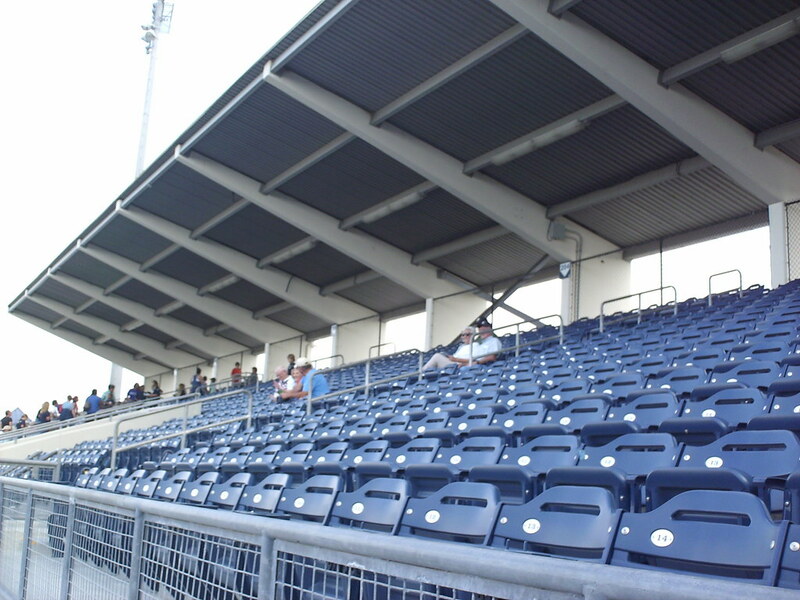 The outer concourse at Charlotte Sports Park. 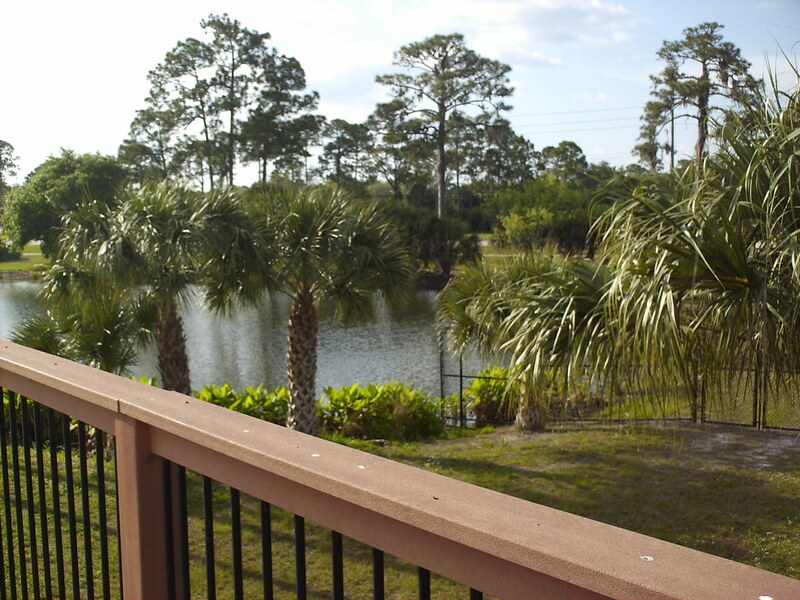 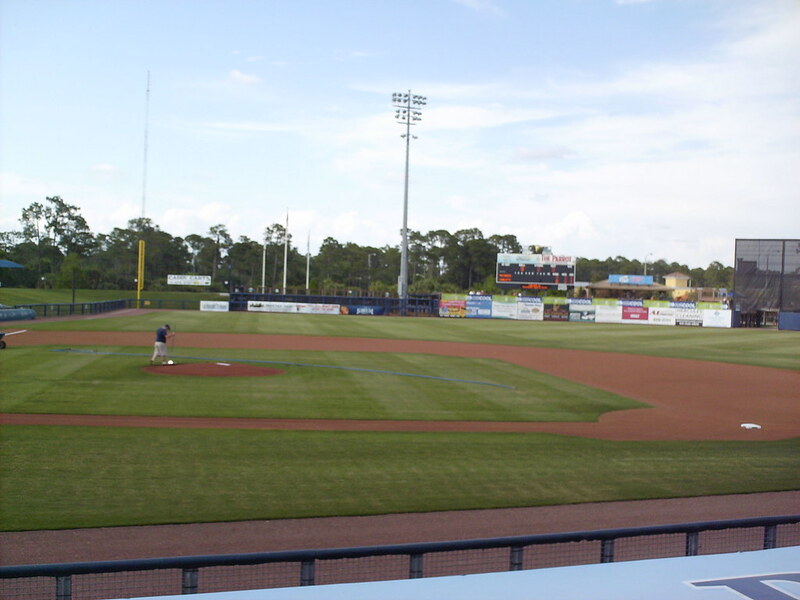 Palm trees and a pond are visible from the outfield boardwalk. 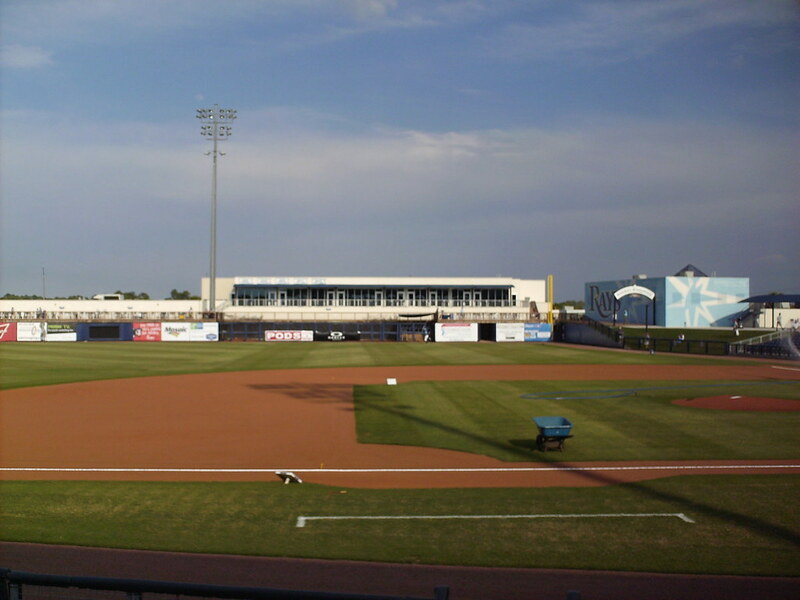 Signs at the complex warn baseball fans not to feed the alligators in the ponds. 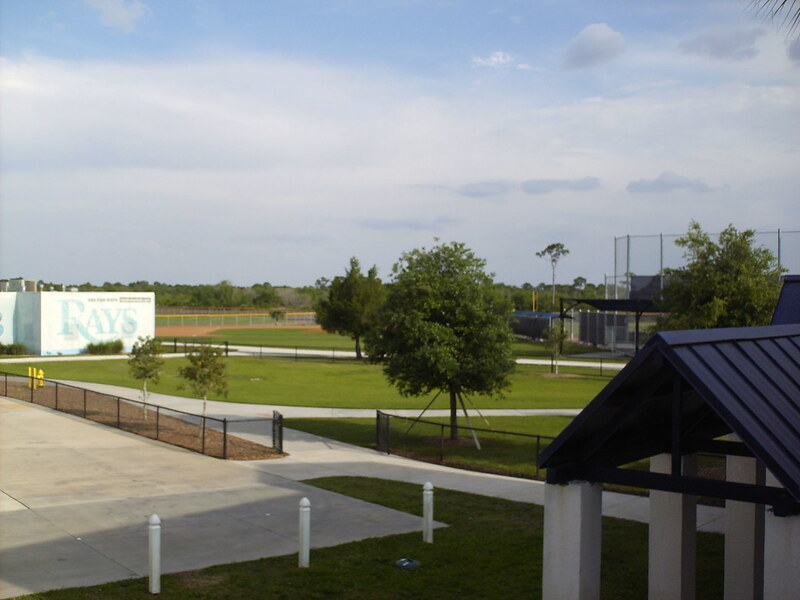 Rays practice fields as seen from inside the main ballpark. 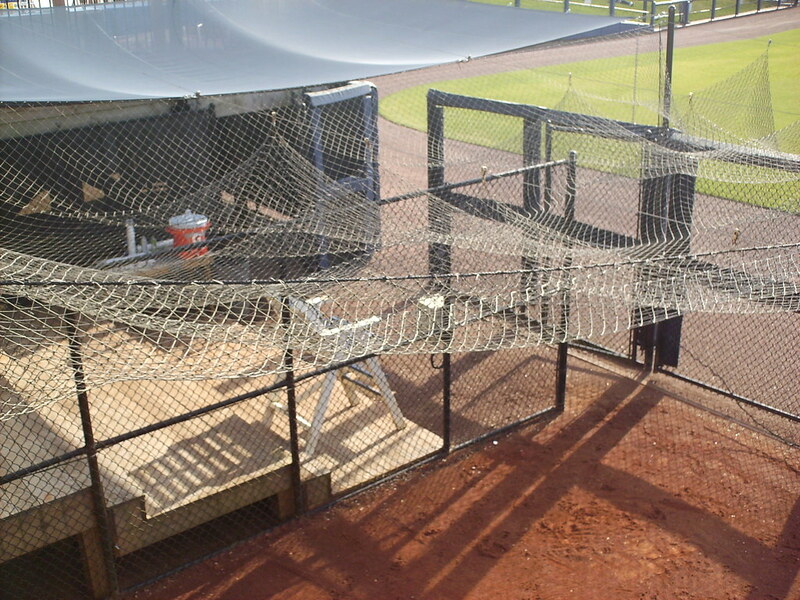 The home bullpen in the right field corner. 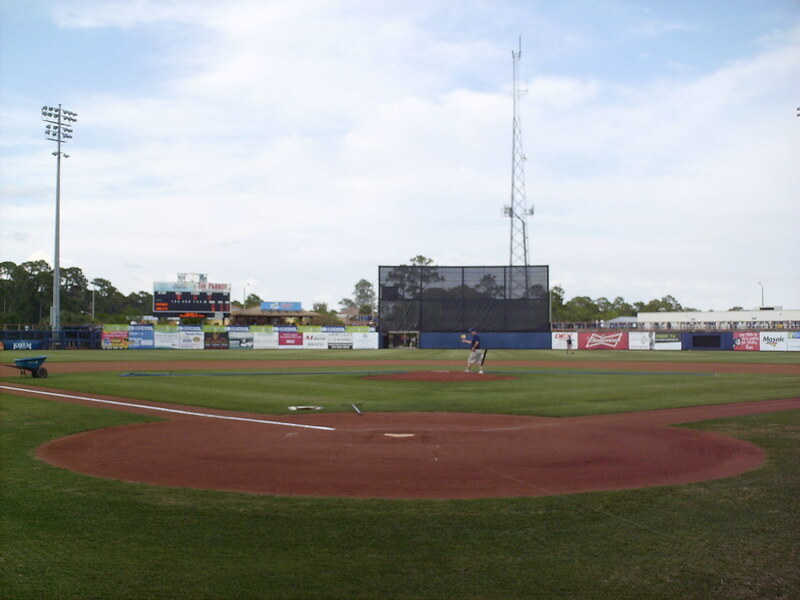 The large, squared off foul territory behind home plate. 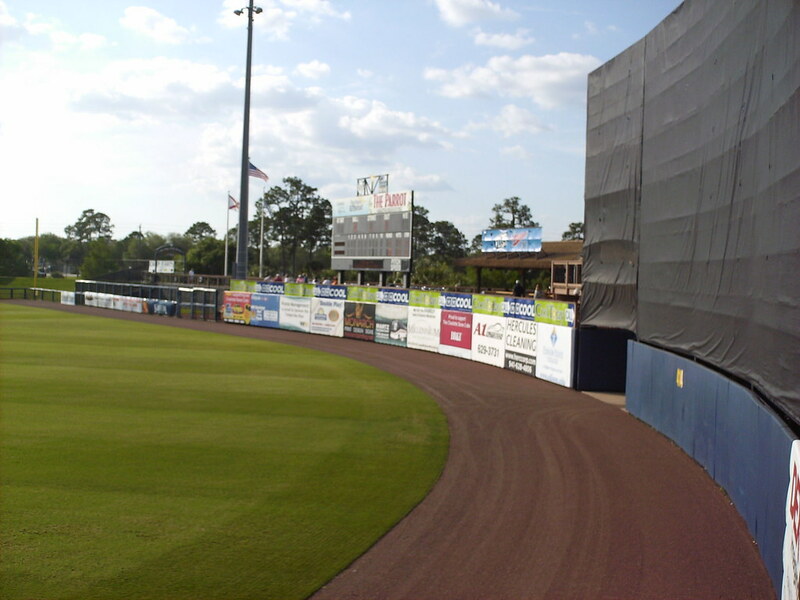 The outfield wall and scoreboard at Charlotte County Sports Park. 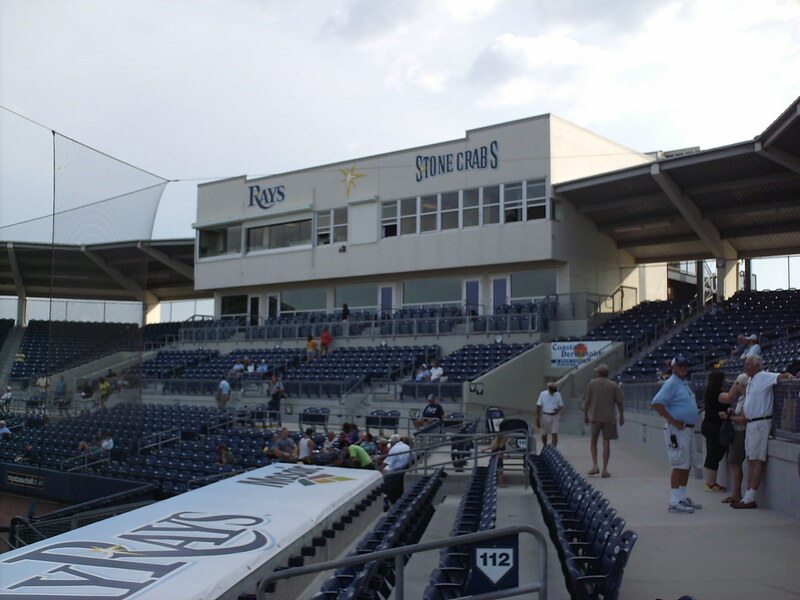 The Charlotte Stone Crabs on the field during a game at Charlotte Sports Park.